Learn to dive at our little PADI dive shop here in beautiful Coral Bay. Our excellent instructors will spend three days with you teaching you all the skills you need to go off and be a certified diver. 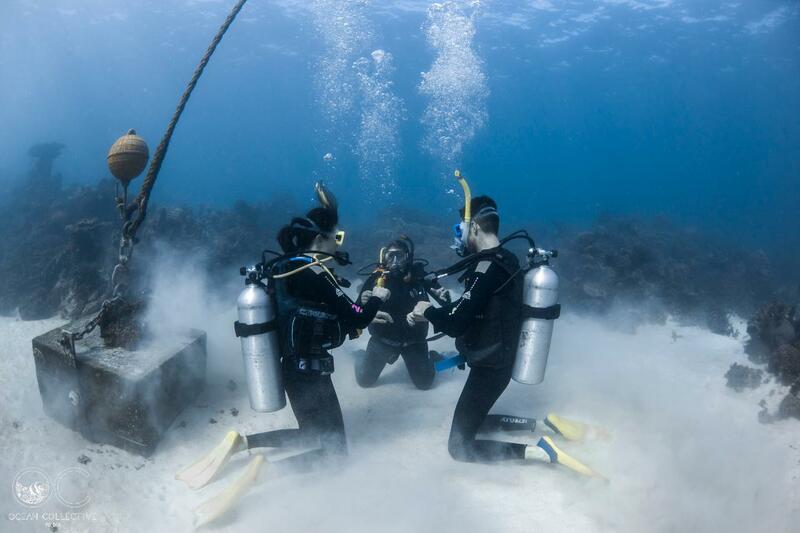 This certification allows you to dive anywhere in the world with a buddy! We spend the first day in the classroom learning all the basic skills and theory necessary to dive safely, which you will then apply into a confined water environment (usually a pool). 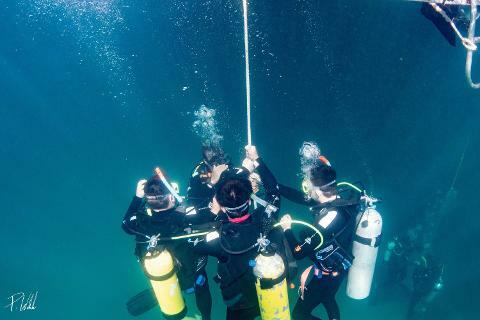 On your second and third day you will come out on the boat with us and complete your four open water dives, covering all the important skills you have learned in the classroom and in the confined water portion. 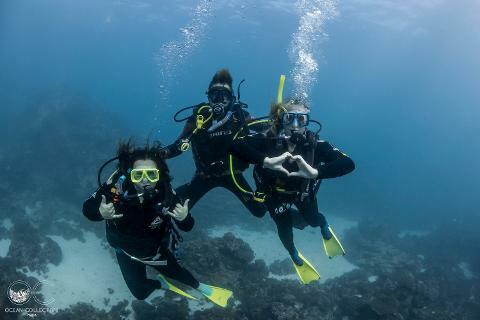 Once you have completed the four open water dives you are officially a certified diver! 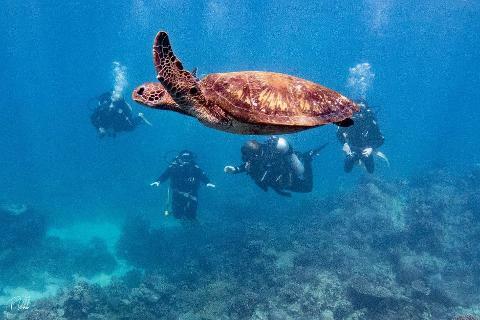 The two days out on the boat may also include a swim with manta rays and lunch on board.